It is; and yet I prefer the even more 'exalted', 'mystical' original version, The Bridal day, that I listened to again a couple of days ago during my ski vacation in the Giant Mountains. I described if before as the missing link between Flos Campi and An Oxford Elegy. The Eclipse disc (LPO with VW in the studio) is very special to me. One day aged about 16/17 I drifted into WH Smith in the Earl's Court Road, which is where I then lived (not in WH Smith obviously although I did have a Saturday job there). 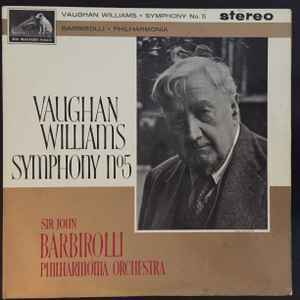 My older (by seven years) brother was and is a keen classical music fan (Bruckner/Brahms) and I'd asked him about Vaughan Williams. He said that he was a bit like an English Copland (whose Third Symphony I'd already latched on to). On this basis I decided to buy VW Symphony No.6, LPO Boult which I found on the shelves. I was intrigued because the LP included 'A speech from the composer'. Basically, I never looked back and no disc has ever had such an impact on me. The earlier LSO recording (1949 I think) is terrific and, as you say, includes the original scherzo. However, for emotional as much as musical reasons my loyalty and attachment is to that LPO performance. 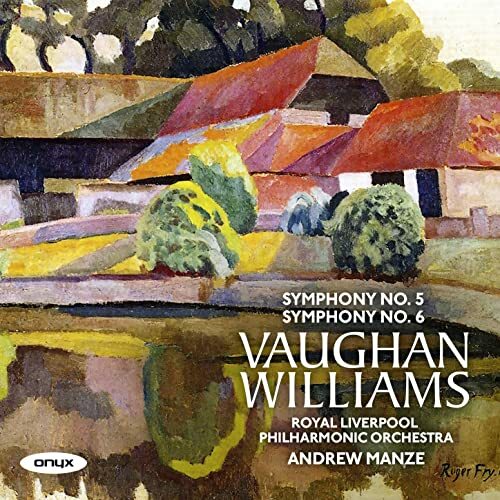 The Everest recording of Symphony 9 included a speech by Boult in tribute to Vaughan Williams who had died overnight and who had been intending to attend the recording. Not all Everest versions included the speech 'To our American friends...' It's curious that the Ninth was not recorded by Decca and is possibly indicative of the short-lived reaction against Vaughan Williams's music in the late 1950s up until the revived interest at the time of the VW Centenary in 1972, which is such a vivid musical memory from my formative years. My first awareness of the great Andre Previn dates from this time, although I must have been aware of the Morecambe and Wise sketch in 1971. Yes, must listen to it again myself although its that EMI recording which I tend to drift back to. I haven't heard the Manze recording but consider the fifth a masterpiece. One of the finest 20th century symphonies and very personal and unique. My favorites are Previn and Boult and I find them so perfect that it leaves me with little desire to hear other interpretations as I always find them somewhat disappointing in comparison. The youtube recording with Manze and the BBC Scottish Orchestra is VERY similar to the RLPO recording on cd but the RLPO plays with more color and character in my opinion. I think Manze is able to achieve great contrast in what is predominantly a very quiet work. He also keeps it moving which also helps. Too bad you almost never hear this work in the States as most audience members tend to prefer the big loud stuff like Mahler, Bruckner, Shostakovich, etc. Our paths may have crossed! For 36 years I worked in the North End Road (Olympia end). Small world. Thanks for clearing up the speech query. I must have the American one attached to the Everest 9th LP but not listed on the back cover. I have never worked out how Everest came to record the 9th and not Decca. Your theory is as good as any. To confuse matters further, Decca recorded 1 - 7 in mono and the 8th in stereo. Stravinsky recorded a speech for his recording of Rite. He goes on a bit and CBS chose to place it before his performance on record which in my view is a mistake. Previn and Boult will always be the first port of call in all nine symphonies. I agree there is little point looking elsewhere, but at the same time I feel it a mistake to completely ignore Barbirolli, especially in the 5th. Not as the only version, but for the beautiful phrasing Sir John extracts from the Philharmonia this recording is worthy of a listen. Barbirolli's RVW symphonies are more than just 'worthy of a listen'. He gave the premiere of the Sinfonia antartica though sonically his mono recording has been surpassed by various stereo versions. The 8th was dedicated to Barbirolli and he conducted it with great distinction His recordings of the 2nd and 5th symphonies are my all time favourites though Boult (in 2 and 5) and Previn (in 5) run him very close. I recall being constantly dragged off by my parents to help with the weekly food shop in Sainsbury's (I think) in the North End Road. Yes, small world indeed. I have a CD of early recordings of Bax's music which features a radio talk by the great man. I'm interested how these composers of dark, towering symphonies, like Bax and Shostakovich had quite high-pitched squeaky voices. This is my favourite version, preferable IMO to Boult and Previn, great as those recordings are. It was an error of judgment by RCA to squeeze the 6th onto a single LP side allowing the second side for the 8th. Leppard (Indianapolis SO) has a very fine recording with an alternative narration of excerpts from Scott's diaries, which I think works better. Allegedly, Leppard discussed this idea with RVW personally. The Leppard recording is excellent both technically and as a performance. I like the movement superscriptions (even if they were never meant to be heard) and as such I like the idea behind the Leppard performance very much - the extended excerpts from the Scott diaries are well chosen and very well read. I'm shamefully unfamiliar with Vaughan Williams' music. The nine symphonies remain a mystery to me - but that's going to change now! Starting with A Sea Symphony tonight (with Boult and the LPO) I'm going to go through them all in many different recordings. Let's see what happens! What a great attitude you have! I am curious to hear of your journey. I hope you enjoy the journey. Vaughan Williams is a composer I’ve kind of cooled on right now, but I do still consider him the foremost English composer of not only his own time, but of all-time. I know this is a bold opinion, but I do truly feel there’s no other composer from England that has not only created a virtual sound-world unlike any other, but has touched many listeners’ hearts in the process. Sorry, but Elgar, Holst, or Britten have nothing on RVW. He was a master. Others may not agree but even allowing for the fact that "one" is a good place to start, I actually think it not with the RVW symphonies. My recommendation would be to set out with two symphonies which show both sides of him, the 5th and 6th.